It's Independence Day in the United States of America and I thought hard and searched high and low for the right song and video to commemorate the day. There were obvious choices like Chicago's "Saturday In The Park" or a pair from Bruce Springsteen, "Independence Day" and "4th of July, Asbury Park (Sandy)." I'm not a big Chicago fan and I haven't been able to listen to Bruce since Clarence Clemons passed away last month. Besides, "Independence Day" isn't really about the 4th of July and "Sandy" will forever be tied to another late E Street Band member, Dan Federici. None of those songs felt right this year. I wanted to avoid politics – either the flag waving or flag burning – yet choose something quintessentially American for this most important of holidays because as Bono said Friday night in Nashville, America is more than a country; it's a great idea. With that in mind, I've chosen a video of a song and a moment that touches on so much of what America is, has been, could be, and more. 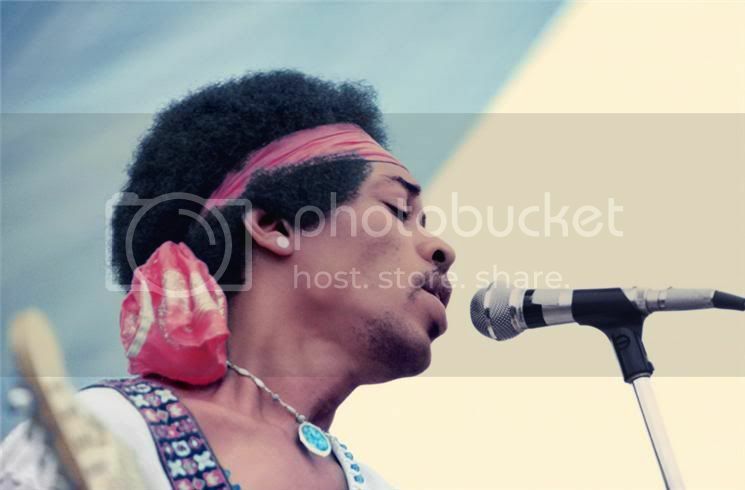 I give you Mr. Jimi Hendrix, live from Woodstock! Let's be thankful for what we have as Americans, hope for a brighter day for those of us who are struggling, and let's do it with our ears ringing with Hendrix's guitar!